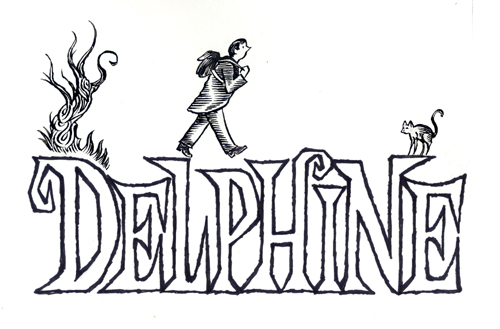 Original art for the title page of Delphine #1. Ink on 9"x12" bristol. Some small areas of white-out. Will be neatly signed.